Visionary Asset Management Inc has current investment portfolio of $362 million and its primary stock holdings include Altria Group Inc (NYSE:MO), Lockheed Martin Corporation (NYSE:LMT), Paychex, Inc. (NASDAQ:PAYX). As per its recent SEC 13F filing on October 30, Visionary Asset Management Inc has its primary investments in finance industry and its top ten stock holdings account for 53.63% of its overall portfolio. Altria Group Inc (NYSE:MO) is the largest stock investment of Visionary Asset Management, which owns 65,580 shares of the company at market value of $3.01 million. Altria Group Inc (NYSE:MO) reported net revenues of $6.49 billion in its third quarter 2014 with diluted earnings per share of 71 cents. Some of the primary investors of Altria Group Inc (NYSE:MO) include Gardner Russo & Gardner, Adage Capital Management, and Wintergreen Advisers. 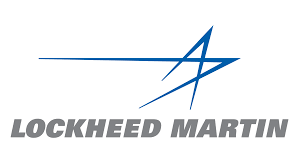 Lockheed Martin Corporation (NYSE:LMT) is the second largest stock holding of Visionary Asset Management Inc with 16,128 shares of the company at current market value of $2.94 million. Lockheed Martin Corporation (NYSE:LMT) reported sales of $11.1 billion in third quarter 2014 with net earnings of $888 million. First Eagle Investment Management is the largest investor of Lockheed Martin Corporation (NYSE:LMT) with investments exceeding $440 million. Other secondary investors of the company include Winton Capital Management and D E Shaw. Paychex, Inc. (NASDAQ:PAYX) comes at number three in the investment portfolio of Visionary Asset Management Inc with 65,084 shares of the company at current market value of $2.8 million. The net revenue of Paychex, Inc. (NASDAQ:PAYX) for its first quarter 2015 was $666.8 million along with diluted earnings of 47 cents per share. The major contributor in its revenue was the service unit with revenues of $656.6 million. Some of the primary investors of Paychex, Inc. (NASDAQ:PAYX) include Select Equity Group, Carlson Capital, and Winton Capital Management.